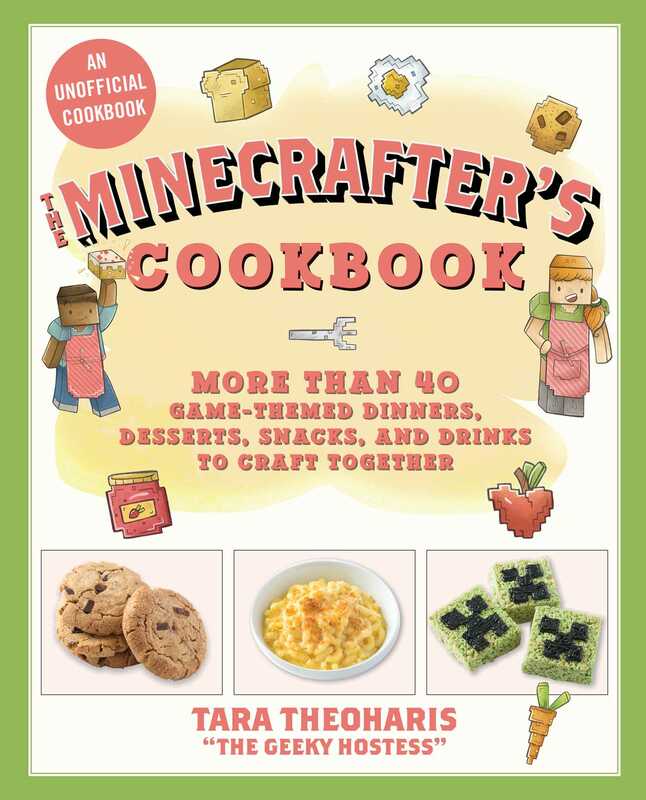 The Minecrafter's Cookbook brings the Overworld to life with over 40 fantastic, Minecraft-themed recipes that kids and parents can make together. From main courses that will fill your hunger bar; to enchanted snacks that Alex and Steve couldn’t survive without; to party-friendly, game-themed desserts and potion drinks, there is plenty in this book to enchant young gamers and their families. Kids will love the accompanying illustrations of their favorite characters and scenes, while parents will appreciate the simple, step-by-step directions to guide them as they craft. Includes photos of each finished item, plus colorful illustrations of popular Minecrafting scenes and characters for maximum fun. Features over 40 kid-friendly meals, drinks, and desserts including Beetroot Stew, Golden Apples, Grass Block Brownies, and Creeper Crispies! The delicious recipes in this book are sure to make spending time together a whole lot more fun!